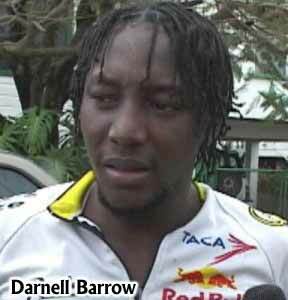 There is a late evening report of the robbery of three Belizeans—well-known cyclist Darnel Barrow, Albert Leslie and another known only as Mark. Leslie daughter, Elisa, phoned in to our newsroom minutes ago to inform that the trio had just left the Mexican border with the United States en route to Belize. Just five minutes after leaving the border, they were robbed at gunpoint by a group of gunmen. Stolen from the Belizeans were four vehicles, with an assortment of items inside. Barrow and Mark were kidnapped and taken by the armed robbers to a nearby city named Matamorros, Mexico and left there. The family is seeking assistance from the Mexican Embassy and the Belize Foreign Affairs ministry to get the men safely back to Belize.